Do you want free updates to my Appraisal Management Company Directory – for life? I have a few copies left and will be changing my policy on getting free updates for life starting in 2012. The time involved updating the list and making sure it is the best list around, I just can’t afford to offer free updates for life on the new 2012 AMC directory. The only way to do that is to order one of my last remaining copies of the book or the 2011 appraisal management company directory E-Version. That way you will get the free updates for life. I was so swamped this year with appraisal work that I had to delay updating it, but will definitely have it completed by the end of this month. 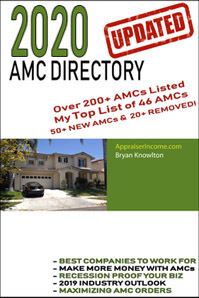 I will be sending annual free updates in PDF format to all purchasers of the 2011 AMC Directory. Thanks again for all your support. Remember, this is a VERY limited time offer. It will expire on 01/31/2012. So get shopping and make sure you get free updates for life. Click here to order a copy of my Appraisal Management Company Directory. This entry was posted on Wednesday, January 11th, 2012 at 4:12 pm and is filed under Appraisal Management Companies. You can follow any responses to this entry through the RSS 2.0 feed. Responses are currently closed, but you can trackback from your own site. 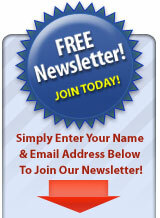 You are here : Home » 2012 » 01 » 11 » Do you want free updates to my Appraisal Management Company Directory – for life?